Today we have been working on organic aprons for the Body Shop. We won the order through their agent (Karen Higgins Projects), organic aprons printed with some beautiful designs. There is an almond on some, passion fruit on another and hemp in another. We think the result is beautiful. Our organic fabric (twill) is made in India and is also certified by Oeko-Tex. The actual organic aprons are made here in the UK especially for us. It took us quite a while to find a supplier, research, trial and error (some shrunk) until we found the perfect fabric for the organic apron range we now have. We have just introduced organic children’s aprons. It will be interesting to see how much interest they generate. With so many of our competitors deciding to reduce the range of Fairtrade and organic they supply we are doing the opposite. I could think of this as adventurous, foolish, wise swimming against the tide. However I still believe that there are people who want these products. 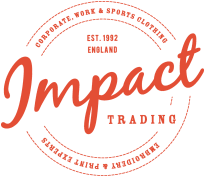 Products that look toward our future, trying not to damage the land and giving a fair wage to the cotton farmers. We are in a recession and it it hitting us hard. But when I remember the villagers I met in India who grow our cotton…………I think we are so lucky and it makes me determined to keep going. They had so very little but gave us such a warm, excited welcome. proud of their organic cotton. 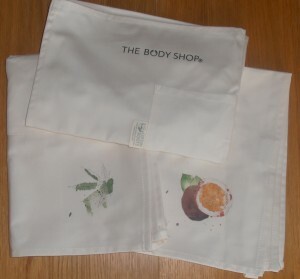 I hope the Body Shop are as excited with their delivery of organic aprons from us.